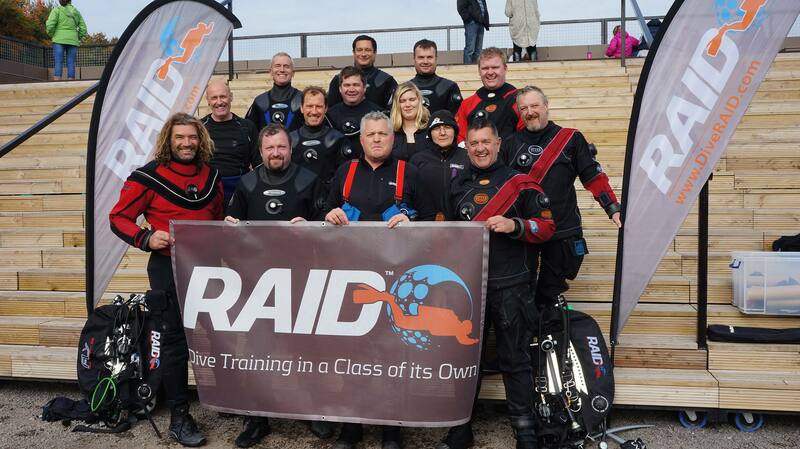 Three new RAID dive centres have recently opened in the UK. The dive centres—Dive Blue Horizon in Wakefield, Severn Tec in Shrewsbury and The Fifth Point in Northumberland—have bucked the harsh economic trend by opening their doors during tough trading times. Co-owner James Learwood said that Emery and he had been teaching for years. However, it was an in-water workshop with RAID Instructor Trainer Edd Stockdale that made them rethink their diving. These are dedicated RAID Dive Centres, soley offering RAID training. Adrian Fox of Dive Blue Horizon confirmed that he appreciated the fact that the UK Directors, James Rogers and Garry Dallas, “are travelling the country, hitting the water and showing divers what RAID is like, rather than just talking about it." In a RAID press release, Kevin Murphy, owner of SevernTec, said he was “frustrated with the watered-down approach to dive training” that he had witnessed in the industry.